10Bet has been a fixture in the online bookmaking world since the beginning. Visit here to find out how they trump the competition. It’s Never a Marathon with this Bookie! Check here to find out why experienced sportsbook Marathonbet is a game changer in bookmaking industry. 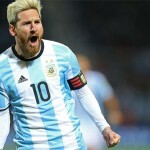 Podcast Episode #60: Will Russia Be Lionel Messi’s Curtain Call? UK sportsbook William Hill has got you covered for all of your World Cup wagering needs!